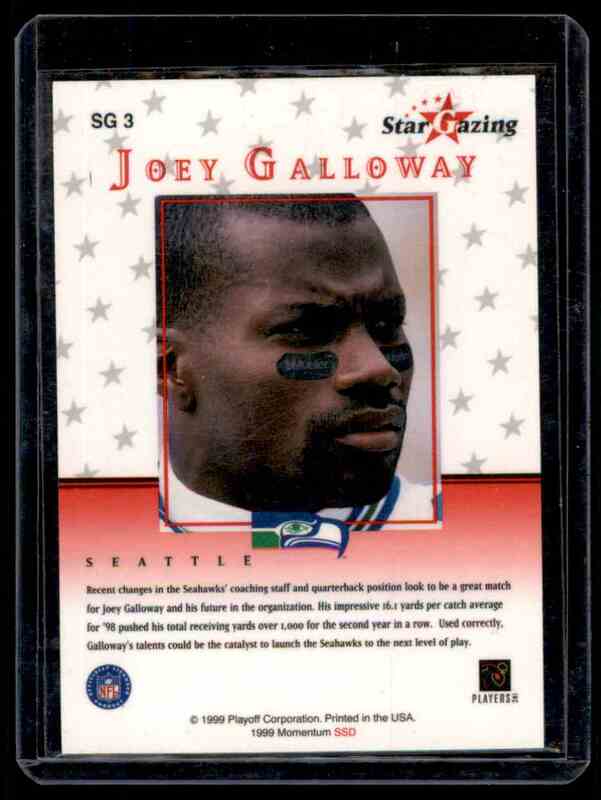 This is a autographed Football trading card of Joey Galloway. 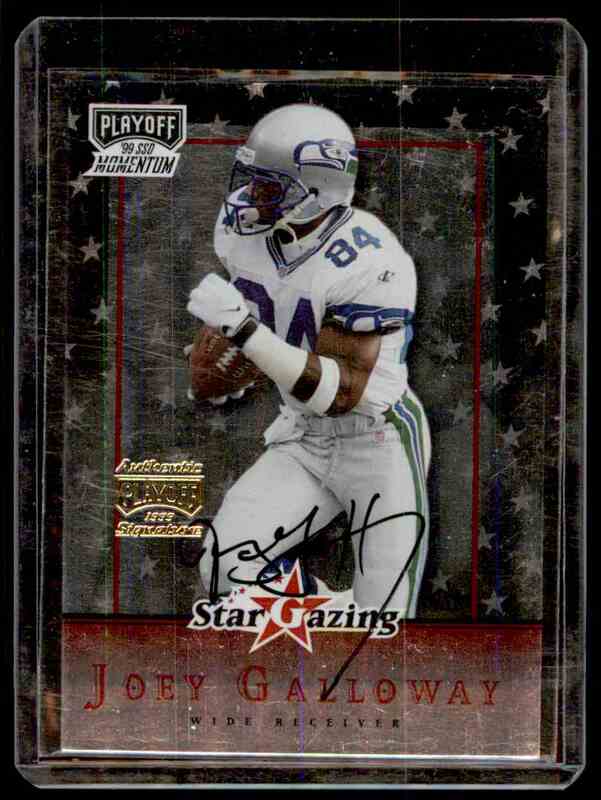 It comes from the 1999 Playoff Momentum Ssd Star Gazing Autograph set, card number SG3. It is for sale at a price of $ 20.00.